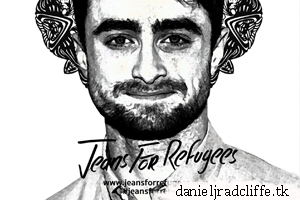 Daniel is one of the many celebrities (Harry Potter co-star Emma Watson included) supporting the Johny Dar project Jeans for Refugees, which is a fundraising initiative dedicated to helping refugees around the world, with all proceeds going to the International Rescue Committee. Update: 19th/22nd August 2016. 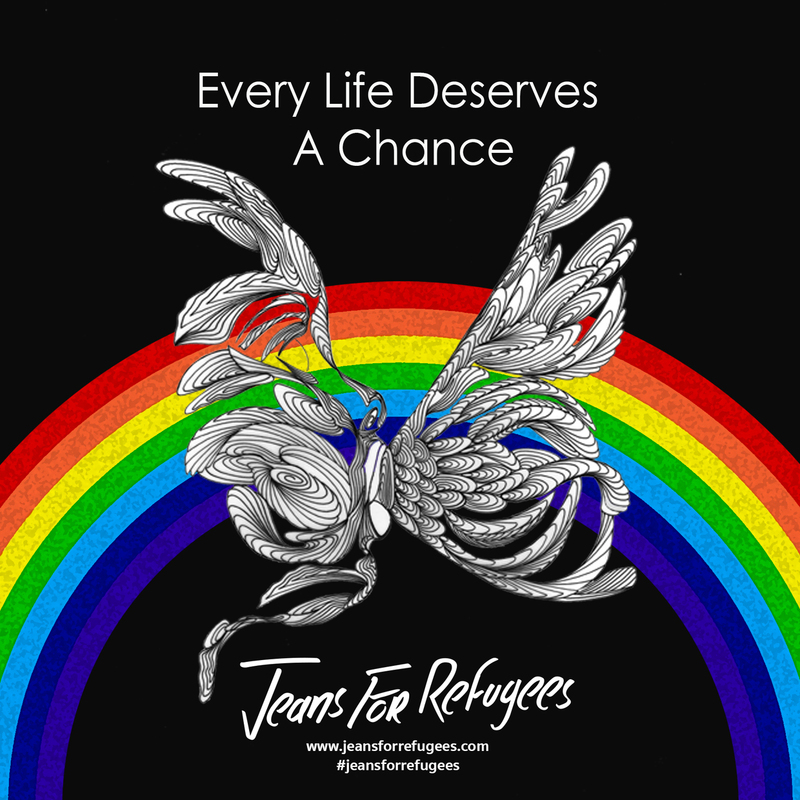 The ‘Jeans for Refugees’ exhibition will run for one week at the Saatchi Gallery in London at the end of October 2016. 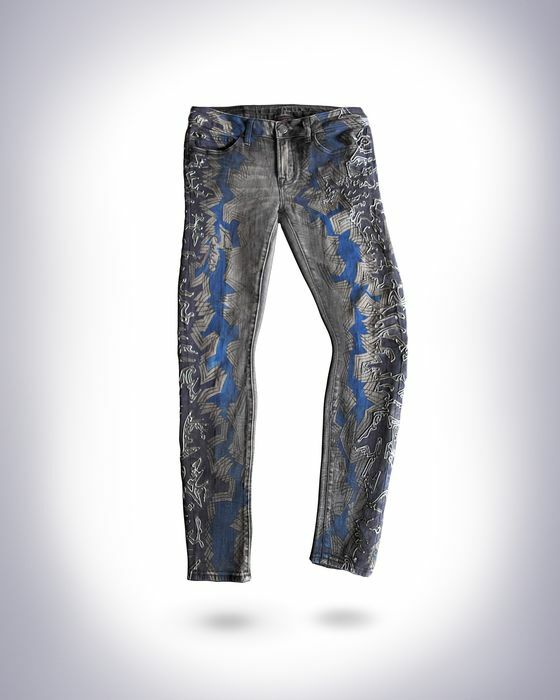 You can now bid on Daniel's jeans via the Catawiki auction. Update: 7th October 2016. More photos below. And this message via Johny Dar. highest bid is currently £2,507. 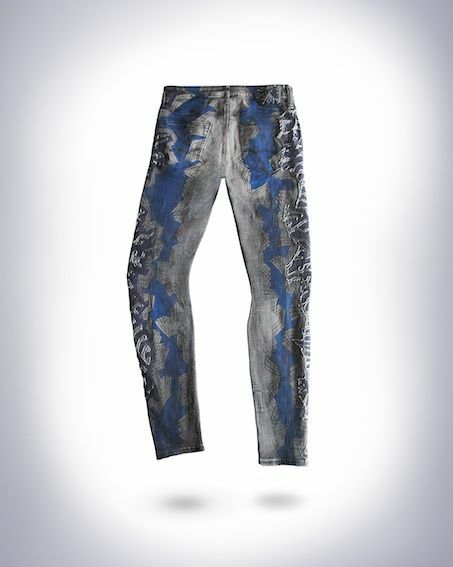 Daniel participated in the project by donating a pair of jeans to be painted by Johny Dar. 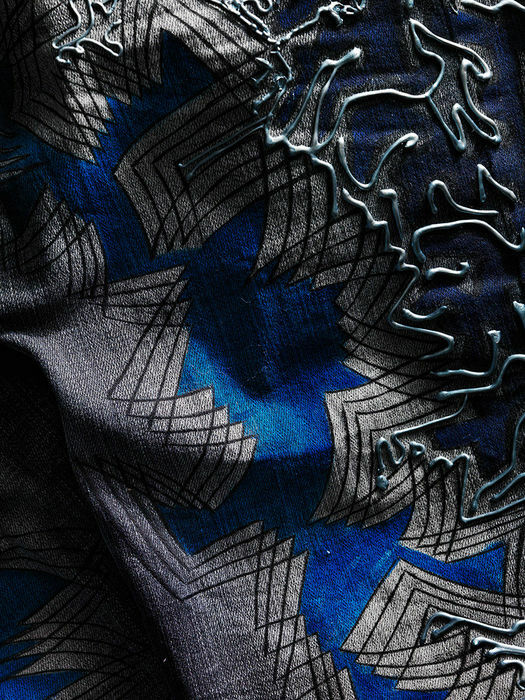 It will made into an art piece. 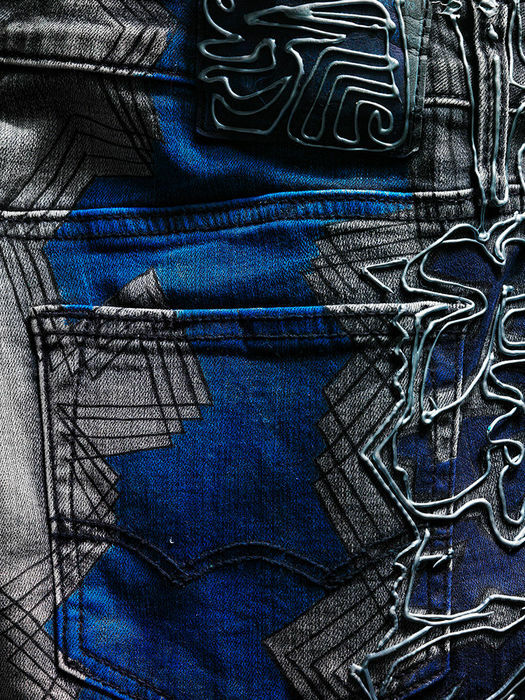 All the art pieces with jeans from celebrities will exhibited in London. 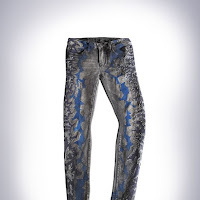 At the end of the exhibition each piece will be auctioned at a special fundraiser auction. There are no dates for the auction or the exhibition known yet, but if more info is available I'll update this post. Thanks to Johny Dar for the news. 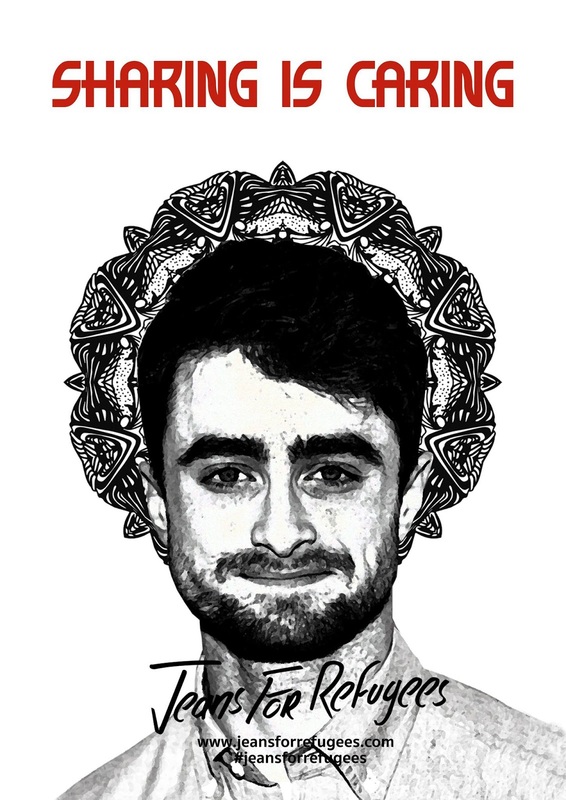 "Daniel continues to make shockwaves through his magic wand, and with his subtle sexiness. 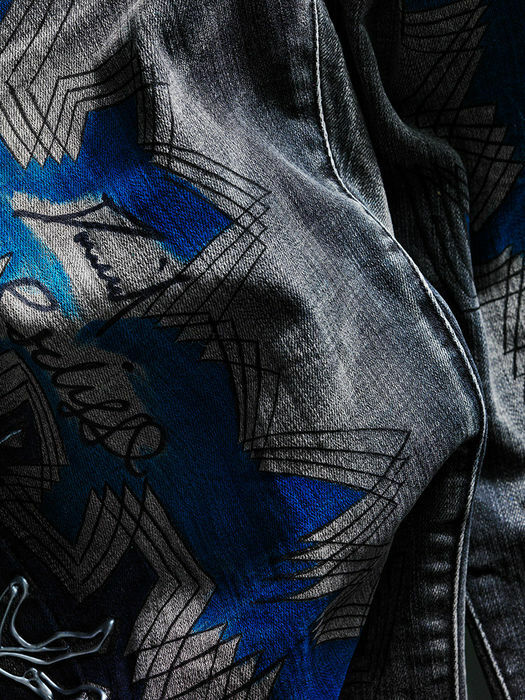 There’s a dynamic movement in the design of his jeans, and different painting techniques incorporated - hand-drawn geometry, and arrow patterns (which reminded me of Harry Potter’s signature scar) in blue and indigo that play with the cut and movement of the denim. 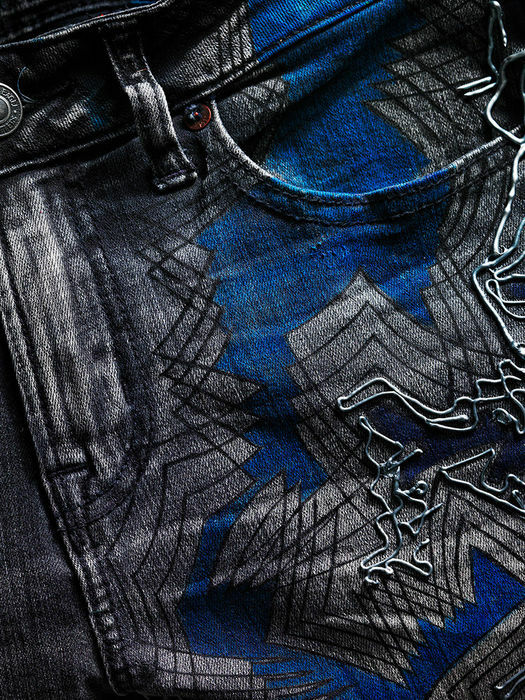 And details in 3D metallic steel along the legs, like a code. 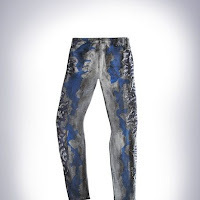 Painting Daniel’s jeans was a steady ride, with a sense of complete confidence, no matter where the ride takes you." The exhibition dates. Good to know, thanks.